The Sussan store at Chadstone is located on the ground floor and offers a range of clothing and accessories for women of different age groups. Whether you are looking to buy formal, work-wear or casual and fun clothing, there is something for every woman at Sussan. Combine the classy range of accessories with uniquely designed clothing at Sussan to create an ultra-stylish and sophisticated look for any occasion. 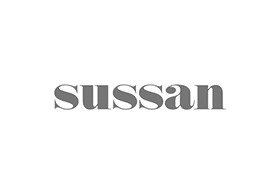 Sussan is a well-known lifestyle brand that designs clothing for the modern woman. The brand consistently comes up with inspiring collections for women that deliver high quality fashion. Besides casual and formal clothing, Sussan also offers a huge collection of sleepwear for women. You can pick from a variety of different colours, prints and comfortable styles. The beautiful collections at Sussan get their inspiration from global trends and are constantly updated to match up to what is latest in the international fashion market. Sussan is well known for its excellent mix of styles that are especially well suited to the middle-aged woman. In particular, loyal customers love their summer linen wear and so are the cute nightwear sets of pyjamas and t-shirts. Besides clothing and accessories, Sussan also offers attractive gifting items. At the Sussan Chadstone store, you can find the latest collections from the brand for both clothing and accessories.